Patients in the Washington, DC/Metro area can obtain vaccinations from primary care physician Dr. Sree Gogineni of Capital Area Internal Medicine. A number of vaccinations are recommended to maintain health and prevent infections or chronic disease. Call or request an appointment online at this family medicine practice to ensure that you and your loved ones are up to date on all of your immunizations. The terms vaccine, vaccination, and immunization are often used interchangeably, although they are different. A vaccine is injected, swallowed or inhaled, and provides immunity to a particular disease. Vaccination is injecting an organism that has been killed or weakened in order to produce immunity. Immunization is the term that describes how people and animals become protected from a disease. A vaccine can be used to immunize an individual, but people can also become immune by catching and recovering from a disease. What vaccinations are recommended to children/adolescents? Immunization recommendations are complex and vary according to age. Some vaccinations, like rotavirus, polio, and measles, are given in the first two years only. Others, like flu, are recommended annually for all ages. Tetanus boosters are recommended every 10 years. Others, like the shingles vaccination, are recommended only for elderly people. Recommendations may also vary if the patient has a chronic disease or an allergy to a vaccine or its constituents. Many adults in the US have received vaccines for the various childhood diseases like measles and mumps, but if not, the Centers for Disease Control and Prevention recommends they be given. The CDC also recommends an annual influenza vaccination and a tetanus booster every 10 years. Herpes zoster (shingles) is a painful skin infection that is more likely to inflict adults over age 60, and a single vaccination is recommended. After age 65, adults should also have a special kind of vaccine to prevent pneumonia. 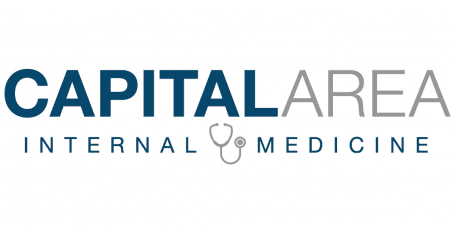 If you or a loved one is in need of a vaccination, call Capital Area Internal Medicine’s family practice or request an appointment with a qualified primary care physician online today.